Should Pittsburgh Trade Crosby or Malkin? About a month ago, Adam Gretz of NHL.Fanhouse.com wrote a well thought out reaction to recent talk that the Pittsburgh Penguins should trade either Sidney Crosby or Evgeni Malkin to attain depth. Since his article was written on February 24th, Pittsburgh has made a head coaching change, traded Ryan Whitney to Anaheim for Chris Kunitz, and acquired Billy Guerin at the trade deadline from the NY Islanders. These combined changes seem to have spurred a turn around in Pittsburgh, as the Penguins now sit comfortably in a playoff spot with many of the teams around them in the standings slumping and moving backwards. This recent success, while wonderful for the Penguins and their current season hopes for a Stanley Cup, have not (at least in my opinion) changed anything in the grand scheme of things… and have certainly not rendered Mr. Gretz’s article moot. It’s my opinion that the thought of trading one of Crosby or Malkin is not as outlandish and destructive of a thing as he makes it seem, so let’s look at things from a slightly different (but entirely appropriate) economic perspective. In economic theory, when you determine the value of something… you must consider not only what it is currently worth, but what the assets committed to such a quantity could be worth if allocated elsewhere. This theory is likely front and center in most NHL general manager’s heads as they assess the “value” of not only their players, but other players in the league, and other players not in the league (draftees, prospects, and European players). Mr. Gretz did not consider this subject when writing his article, and consequently many of his examples of “failed trades” do not actually support his argument. August 2, 2005 — Chris Pronger: The St. Louis Blues send Chris Pronger to the Edmonton Oilers for Eric Brewer, Doug Lynch, and Jeff Woywitka. Chris Pronger was reportedly unhappy with a 7+ million dollar qualifying offer that the Blues gave him as an RFA the summer that they traded him. This was the same summer that the salary cap andthe collective bargaining agreement went into effect. St. Louis decided that with a salary cap maximum of just under $40 million, that their money could be spent better elsewhere. Moving Pronger not only avoided a situation of an unhappy player becoming a cancer in the locker room, but also allowed the Blues more monetary flexibility. 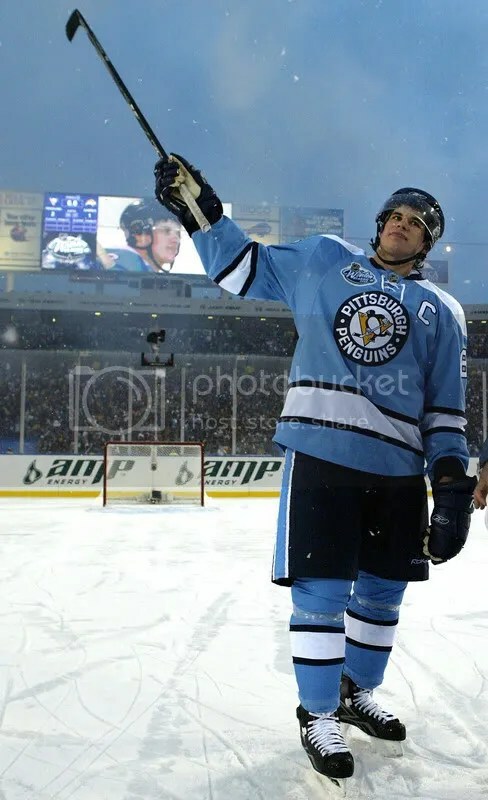 July 11, 2001: Pittsburgh trades Jaromir Jagr and Frantisek Kucera to the Washington Capitals for Kris Beech, Michel Sivek, and Ross Lupaschuk. 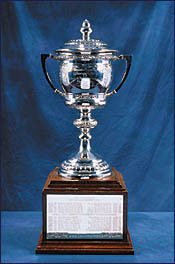 Pittsburgh had not been to the Stanley Cup finals since the 1991-92 season. Trading away Jaromir Jagr allowed the aging Penguins team (that consisted of not much more than Alexei Kovalev and Mario Lemieux at the time of the deal), to focus on rebuilding and becoming a contender again. With the loss of Jagr, the team drafted in the top five years in a row… selecting Ryan Whitney, Marc-Andre Fleury, Evgeni Malkin, Sidney Crosby, and Jordan Staal with these respective top 5 overall draft picks. By trading away Jagr, the Penguins have rebuilt their team into one of the most skilled young teams in the league. Oh yeah… and all five of the above listed players were an integral part to getting the Penguins back to the Stanley Cup finals for the first time since the early 90s. So was the Jagr deal really that bad? When you think of everything that has directly come from it? 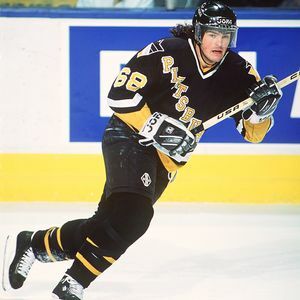 Jagr and Lemieux are long gone from the NHL, so if the Penguins had kept Jagr… where would they be now? November 30, 2005: Boston Bruins trade Joe Thornton to the San Jose Sharks for Brad Stuart, Marco Sturm, and Wayne Primeau. During the time that “Jumbo Joe” was in Boston, they never made it past the 2nd round of the playoffs. Since Thorton has been traded to San Jose, the Sharks have never made it past the 2nd round of the playoffs (despite making it to the western conference finals the season before acquiring Thornton). Trading Thornton allowed Boston to sign Zdeno Chara and Marc Savard via free agency, and they have been a large part of Boston’s success in the eastern conference this season. Boston also has a number of young players contributing to their very good 2008-09 season, that they likely would have never had the chance to draft had they not traded Thornton. June 23, 2006: Florida Panthers trade Roberto Luongo and Lukas Krajicek to Vancouver for Todd Bertuzzi, Bryan Allen, and Alex Auld. Florida is on pace to finish the 2008-09 season with their highest point totals in the standings since before they acquired Luongo from NYI. They acquired Tomas Vokoun and Craig Anderson via free agency to adequately address their needs in goal, and Bryan Allen has been very solid defensively since joining their team. Florida traded Todd Bertuzzi to Detriot for blue chip prospect Shawn Matthias, and a conditional draft pick. So had Florida not moved Luongo, they wouldn’t likely have the contributions of Vokoun, Anderson, Allen, or Matthias. You can list nearly all the “bad” superstar trades in NHL history, and if you follow the cookie crumbs that are left in the wake of the actual deal itself, you can see that close to 100% of the time, things pan out the way they should. While many trades seem like bad ideas at the time sometimes they are necessary to ultimately achieve success. This happens, because the “value” of the player/superstar that you are trading can almost always be transferred into new or different players. If Crosby or Malkin were dealt in a trade, there’s not a doubt in my mind, that the “value” of the returning package would at the end of the day make the deal worth while. 1) The Penguins continue from struggle from a lack of depth have trouble finding secondary scoring outside of Crosby and Malkin. Their consistency suffers, and they fail to make a serious run at the Stanley Cup (without blowing their draft picks and prospects on a talented rental winger like they did last year with Marian Hossa). 2) They trade one of Crosby or Malkin and they receivenot only depth, but salary cap room to modify their team chemistry and create a balanced attack and a perennial contender. Any betting man knows that you don’t help your chances of winning big if you put all your eggs in one basket. The Penguins would do well to at least entertain offers for their franchise centermen… though I’d imagine that there wouldn’t be as many takers as some seem to suggest. With teams dying to shed heavy salaries this past trade deadline, there will be more andmore teams that are stuck withlarge contracts… Pittsburgh being one of them. Not only have they put themselves in a bad position withthe salary cap with their big contracts, but they’ve put themselves in a bad trading position as well. As Mr. Gretz mentions there are many teams with large amounts of money committed to players for next season… but how many teams can claim that they have approximately $21.4 million in cap space committed to three players that play the SAME POSITION? Say what you want about Detriot, Washington, NY Rangers, etc… and their cap positions… but at least they’ve diversified their cap allowance throughout their roster. As final note: both players are unrestricted free agents at the termination of their current contracts… and BOTH have no-trade clauses in the final year of their current deals. Pittsburgh GM Ray Shero should be at least considering trading one now… so that he doesn’t get caught with his pants down losing one for nothing a few years. This weekend, the Washington Capitals and the Pittsburgh Penguins played each other for the fourth and final time this season. These games carry with them the inherent sub-plot of Crosby & Malkin vs. Ovechkin & Semin, but it’s evolving into more than that lately… The fans are really getting into the mix. As Puckdaddy posts in “Today in Sidney Crosby bashing: Caps fans offer crib notes,” Capitals fans are really developing a healthy hate for Crosby and the Penguins as a whole… and I’d be willing to bet that the same is happening in Pittsburgh in regards to Ovechkin and Semin. Now, there are a lot of hockey fans the Baltimore area (which is roughly 20 miles from D.C. and about an hour from Philadelphia), so with a budding rivalry between the Capitals and the Penguins, and a continuing rivalry between the Philadelphia Flyers and the Penguins, it’s not reaching to say that Maryland hockey fans will be against central Pennsylvania hockey fans for years (or possibly generations) to come. Rivalries are great for sports, and if these teams stay great, this one could evolve into something really special.